Self Publishing: Vanity publishing or the future of writing? Repost: Ever since I was in my early teens, I wanted to be a published author. In fairness to myself, I had no illusions about being the next Hemingway or the next Fitzgerald, that was not the goal. I was reading Frederick Forsyth and Robert Ludlum and later John Grisham and these were what I wanted to do. In short, I wanted to see people reading my books in airports, and made into TV mini-series starring that gruff one from Simon and Simon and one of the lesser girls from Baywatch. So, I went and did what you are supposed to do. I wrote a 65,000 word novel, The Unisio Agenda, which was pretty awful (a suspended animation Hitler was just one of the minor features in the plot), and sent the first chapter to a load of literary agents, having researched and discovered that these were the fabled gatekeepers to the great publishing houses, or at least had coffee and a bun with them occasionally. In the following weeks, self-addressed envelopes would make my heart thump just slightly faster as they lay on my hallway floor before telling me very politely that “this was not for us, but best of luck elsewhere”. One or two even gave a little advice on the novel. Not one, to their credit, sent me the fabled “Do humanity a favour and take a hammer to your PC” remarks. I set that novel to one side, and started on my second, The Ministry of Love. This novel was the result of a running joke with a friend of mine about the government deciding to intervene in people’s love lives for the better, and the more the joke ran, the more I felt there was material for a story. It took me a couple of years to pull it together, but I finished it, and sent it out to the agents, feeling more hopeful that I was now a better writer and perhaps my subject was a bit more commercial. That and the fact that it featured a serial killer butchering celebrities in various creative ways, which I felt was very much in line with the zeitgeist of the time. Again, the rejection slips came back. At this stage, the aspiring writer can do one of three things. The first is rail against the conspiracy in the publishing industry to keep his/her unique voice out. The second is to keep trying, normally by writing another novel, and the third is to just accept that it is not to be, and give up. The first was not an option, because I just didn’t believe it. I had started to read a lot about the publishing industry and realised that it was not a vendetta against me personally, but an industry in crisis. Being an HR manager in my day job, I knew that rejecting a candidate for a vacancy was not a judgement call on their fitness but a reflection that someone else fitted the profile better. Of course they could not take risks with unknowns like me. Just look at the piles of books on sale now, and how many have to be fronted by a celebrity who (hopefully, at least to the publisher) brings his or her own market with them. It was just too risky for publishers to take a punt on people like me. The “What about JK Rowling, Dan Brown et al?” argument would be thrown back at me, but they were just flashes in the pan. Traditional publishing, through its own economic necessity, was looking less likely as an option. The second option was to keep trying. A funny thing about writing is that you’d probably do it anyway, in that the desire to commit a story to page is there no matter what. It’s a question of getting it out of your head; so continuing writing is not a painful option. However, there is also a question of ego, which plays a huge role. You can see yourself being transformed from the romantic notion of The Guy Who Is Writing A Novel to guy in Firefly tee-shirt sitting in back room writing his 15th rejected novel about teenage vampires who are allergic to blood but can travel through time. It’s a thin line, and you’re very conscious of it. Option three is to just give up, leave your manuscript in a drawer or on your hard drive, and carry on with life. Many do, especially when you realise how long it takes to write a novel, and without the validation of publication, you query as to whether you are wasting your life on this? I say three options, but there is a fourth. The dreaded “self publishing”. Up until recently, self-publishing triggered certain images. An author announcing a new book. Admiration from friends and family, followed by realisation that author has not being endorsed by professionals putting faith through cash on his skills as a writer, but has paid for book to be published. Slightly grimaced “God bless your diligence” smiles all around. Embarrassed author either lashes out at industry for not recognising him, or feels like a fraud, or a nut. Or both. Then I read about Amazon’s willingness to let self-published authors sell direct for shared royalties, dangling the keys to the kingdom in front of me. It’s here that you make a decision. You accept that your book will probably never see the light of day traditionally, so you can either wait for the day the Great Editors In The Sky recognise your genius and come calling, or you can put it out there yourself, and that is the biggest temptation of all. The opportunity to deliver direct to the marketplace, either as a Print-On-Demand actual book or as an eBook. It’s a brilliant strategy by Amazon, because it triggered the “what if” in every aspiring writer like me to put my book out there just to see what happened. It taps into the brilliant “what’s to lose?” section of the writer’s brain. In fact, it even goes one step further, because the old argument, that traditional publishing houses want nothing to do with self-published authors has been killed stone dead. If anything, self-publishing has become a form of showcase for the publishing houses to see how potential authors perform in the market without investing a cent. There are costs. I commissioned a professional cover designer, ebook formatter, developmental editor and copy editor, and all that costs money, but I reckoned that as I was competing against professional books, I had no choice. Actually, the copyediting turned out to be a huge challenge, and to this day I am still finding typos despite professional eyes having roamed the manuscript on multiple occasions. Interestingly, I also find typos in professionally published eBooks too, which makes me wonder about the format itself. After much effort, I launched my novel, The Ministry of Love, and a year and a month later, a radically rewritten version of The Unisio Agenda, The Gemini Agenda (now Hitler free). I hyped it a bit on a politics blog I write, and with my modest following on Twitter and Facebook. A tiny number of people bought my books. Were the publishing houses right? Quite possibly. But here’s the thing: people are buying my books every month, books that would have sat on a hard drive otherwise. I’ve received reviews and emails from people who have read and enjoyed them, and more to the point, I’ve actually enjoyed the whole process. Will I lose money? Probably. But as a hobby, like photography or cycling it has its financial costs but also its pleasures. There are some, like E L James and Amanda Hocking, who will make fortunes from it. There are others, like JA Konrath who see a new business model and a means of making a decent living. But for me, it allowed me to not quite live an aspiration but get close to it. Will I write another book? Possibly, although the sheer effort required mixed with the feeling that I am just indulging myself expensively will act as a deterrent. There is also the fear, in the back of every self-published writer’s mind, that his friends and family, behind nodding heads and encouraging smiles are rolling their eyes at his putting out this stuff. But regrets? Not one. 5 uncomfortable truths about Irish politics today. 2. Some parts of in Ireland have now started wallowing in self-pity, and vote accordingly. The only thing that agitates them more than being run by dem fellas in Dublin is the thought of their county being run by themselves and their neighbours. Or paying their money towards services in their county. 3. Many elements of the Irish media struggle to prevent any debate on a social issue descending into hysterical emotionalism. You rarely hear Jeremy Paxman ask an interviewee how they “feel” about something. 4. Contrary to popular belief, most Irish people are quite happy with the above. The fact that more people get more energised about the government trying to stop their own faeces from contaminating their children’s drinking water than reforming our inept political system says it all, really. 5. Irish politicians, for the most part, see the political system as being a means of paying them salaries and pensions they never dreamt of. Governing is a bit of a nuisance. The only time you’ll see them debate democracy will be when the EU/IMF starts asking what exactly we need 218 full-time parliamentarians for anyway? 11 thoughts about being an Irish candidate. 1. Candidates, please: think about the day AFTER you win, when people expect you to actually do stuff you were shouting about BEFORE polling day. Or in other words, WWEGND (What would Eamonn Gilmore not do?). 2. With the above in mind, think about your promises. Stop blurting out things in the hope that any old yoke might win you a few votes. 3. Attacking something you used to do yourself, or believed yourself when in government is never as clever as you think. It actually makes people wonder about your integrity. 4. The other guy sometimes has the better idea, and voters are more likely to respect you if you occasionally admit it. 5. Actually believing in “my party, right or wrong” makes you a sociopath, and is the political equivalent of “It puts the lotion in the basket”. 6. A speech shouldn’t be a chore, or a collection of phrases you’ve heard other people use or think they expect you to use. It’s an opportunity to nudge the political tiller just slightly. Same with a leaflet. 7. No one outside politics ever believes the sheer physical and exhausting nature of being an Irish candidate. They never saw Jed Bartlet canvassing in the rain on a Tuesday night. 8. Short of asking voters to vote for the other guy, you can never be too self deprecating. 9. As a first time candidate, you’ll be surprised that you will respect voters who openly say why they’re not voting for you. It’s the rude ones that’ll set you off. Although it will cost you votes, just once during the campaign you’ll tell a rude voter to f**k off, and you’ll feel your dignity restored for the rest of the campaign. 10. Resist the urge to go mad spending unplanned money in the last two weeks. Always query your use of time/money with the question: “Is this a better use of time/money than actually meeting voters on doorsteps?”. It’s very easy to become obsessed with writing the perfect leaflet or Facebook entry. Irish elections are still, for the most part, won on the doors. 11. If you’re a candidate, politics is like a play you’re acting in. It’s the most important thing in your life. If you’re an ordinary voter, it’s like arriving five minutes before the play ends, and being asked to review it. Khaleesi, Mother of Dragons, to contest Irish byelections. Posted by Jason O on Apr 27, 2014 in Irish Politics, Not quite serious. It’s Khaleesi’s Way Or There’ll Be Trouble! 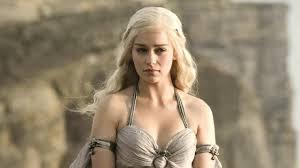 Various Irish political families, including the Reynolds and O’Rourke families, have reacted with anger to the news that the Khaleesi, Daernerys Stormborn of the House Targaryen, is considering contesting either the Longford Westmeath or Dublin West by-elections. Fianna Fail HQ have said that they’re not concerned, given that they have their own Dragon Mother in Longford. In Dublin South East, the true Irish Khaleesi is plotting with a small group of eunuchs. Dail Eireann is as ideological as any other parliament. It just won’t admit it. There’s a small European country where the broad centre-right, made up of moderate nationalist private property defending pro-business MPs, has held a majority of seats for 92 years without interruption. A smaller number of MPs have talked a lot about traditional socialist solutions to national issues but have, outside of some social issues and helping build a social welfare system, largely voted for centrist economic policies. Both factions support state intervention to address low income deprivation. There has only ever been a very small genuinely socialist presence in the parliament, and no right-wing Thatcherite presence that would be actually recognised by real Thatcherites as such. Most MPs object to being compared to the classic left-right political spectrum, yet all have comparable groups in other EU member states, and have no problem finding similar minded people in the European Parliament. The parliament is elected by an electoral system that is less proportional than most PR systems, but a huge improvement on First Past the Post. In short, the parliament is broadly representative of opinion in the country. In short the country has been, and remains, a centre-right country, both socially and economically. Sound familiar? A facade of democracy: the Irish local elections. If you were an evil pair of billionaire brothers who wanted to create a fake democracy, that seemed to check all the boxes but still didn’t quite work, you’d be hard pressed to do better than the Irish local elections. On the face of it, the system does what it says on the tin. The elections are fair and free, with an electoral system that gives voters a wide choice of candidates. Nor is it hard to get on the ballot, an old blocking trick of one party machines from Chicago to Moscow. Indeed, the recent decision to create very large wards of six and over seats gives greater opportunities for smaller parties and independents. The Lib Dems would give their left testicle for our local electoral system. Sadly, that’s where the façade begins. Take, for example, the campaigns themselves. Look at the election literature you’re getting through your door. What does it tell you about the candidates that is different from other candidates? The truth is, most candidates could interchange each others’ material. But what’s worse is that even at local government level, the fundamental question of modern politics still applies: can you spend your money better than society, through the local council, can spend it? It’s a fair question, with fair and reasoned answers on both sides of the argument. But is that the debate we are having? Are candidates furiously debating a rise or fall in the Local Property Tax and the effect on local services. No, they’re not. The message from pretty much every candidate is “More local services? Yay!” and “How do we pay for them? Ssssh!” Look at the posters up, where large numbers of candidates go out of their way to talk about issues over which local councils have no control, whilst avoiding the one thing, the Local Property Tax rate, they can actually control. Then there’s the question of power. Who is in charge of the councils? Unelected county managers, and here’s the thing. Most party councillors are happy with that. Oh sure, they’ll say they’re not, but given that FF, FG and Labour all nominally support local government reform, and all have been in power since the last local elections, you can judge them by their deeds. Elected mayors? Yeah, right. Most party councillors don’t want power, because with power comes blame for decisions. Much better to take credit for the good stuff, and blame the county manager for the cutbacks. The awkward truth is that the local elections are essentially there for the political parties, as a means of building up organisations and candidates. Effectively, a taxpayer funded primary election to see what happens if Your Man With The Head is put on a ballot paper. It’s like a political Colditz: the vast majority of them start planning their escape from the council as soon as they get into it. The only difference is that we’re not allowed shoot at them as they escape, which is very unfair. That’s not to say that councillors don’t serve a useful purpose as local ombudsmen. They do. But one full-time one per ward would be just as useful, and certainly cheaper. Lib Dems can’t do another coalition without PR Lite. The Liberal Democrats are bumping around in 8-14 poll range, which seems to be a source of great bitterness for Lib Dem members. I’m not that surprised at the poll rating. Having been to Lib Dem conferences back in the day, I was always struck (as an outsider) by how many people seemed to me to be there because the party wasn’t Labour or the Tories. Now, in the cold light of governing reality, those soft “why can’t we be nice to everybody?” types have left, or defected to the party that, eh, invaded Iraq. The remaining vote, bobbing around 10%, seems about right, the sort of vote liberal parties elsewhere in Europe get. The problem, however, is that whilst that is all fine and dandy under a PR system, it’s lethal under FPTP. What that means is that the Lib Dems cannot enter another coalition without a commitment to legislate for some form of PR. Without it, a second term will kill them. Now, the idea of getting PR may not be as fantastic as some think. For a start, it’s true that the Tories and Labour will just not concede on full PR. 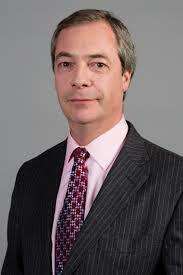 However, imagine a scenario where UKIP wins, say, 15% of the vote, more than the Lib Dems, and ends up with no seats? To bloke in pub this becomes an issue of fairness. Surely a party that gets more votes than another party should get seats? It’s the sort of scenario that Cameron and Milliband would be weary of just dismissing as a political anorak issue. At that point, it would not be unreasonable for the Lib Dems to argue for a national list of say, 150 MPs, elected completely separately from the FPTP constituencies. By electing them separately, it means that most MPs on the list would still be Tory or Labour, but it would also guarantee Lib Dems and UKIP a cushion of seats. It’s not ideal, but it would be progress, and more importantly, it is not impossible to imagine Tory and Labour MPs voting for such a scheme either. After all, it would create a batch of super-safe Tory and Labour list seats. Why the Fine Gael/Labour government embodies the values of 1916. Nobody but nobody does guff like the Irish. Meaningless symbolic blather totally free of any concrete action? We’re your people. As the centenary of the 1916 Rising approaches (Always with a capital R!) we’ll see our national guff production spike off the charts, and a collection of academics and “community workers” share with us what The Rising (great name for a restaurant that specialises in soufflés, by the way) means to them. Of course, there will be a common area of agreement, and that’ll be that as a country we have not lived up to the values and hopes and aspirations of 1916. The Proclamation (cue another capital) will be closely read, as will that far more interesting document, the Democratic Programme of the First Dail. Actually, the DP is by far the more interesting of the two documents, because it almost hints at what sort of country an independent Ireland was supposed to look like. Have a read of it here. If it were an actual programme of government, it could almost be a bit spicy, given its left-wing nature. Instead, as with most Irish declarations, which in later years were demoted to “calls” and “urges”, it was put out into the public domain with absolutely no intention of ever been carried out. In short, it was the very first use of the “It’s Sinn Fein’s way, or it’s the conservative Catholic Happy-With-The-Brits-Until-Five-Minutes-Ago establishment’s way”, and we know how that worked out. People forget this, wilfully. As soon as we waved goodbye to the last British squaddie, and finished off putting down De Valera’s attempt at a military coup and overthrow of the Dail, we elected a crowd of bastards who then got off their knees in front of the King, turned around, unbuckled their trousers, and offered themselves to the Archbishop of Dublin. These were the men and women of 1916, ladies and gentlemen. Ah, cry the misty eyed patriots, but the real men of 1916 died at the hands of the hated English and their perfidious ways. Really? What makes you think that they would have been any better? We had plenty of 1916ers left over, in fact, more who came out of the GPO that entered, in some cases), who didn’t die, and they gave us to get a very clear picture post-1922 of what they would have been like in power. What we got was a theocratic backwater which thought it radical to elect a man in 1932 who wanted most Irishwomen knocked up and shoeless. And let’s not forget, we chose these people in free and fair elections. Don’t believe me? Consider, say, something as simple as women’s rights: we brag that we appointed the first female cabinet minister, Countess Markievicz, in 1919. We did. Know when we appointed the second one? 1979. Because the first one had been so mouthy and sure didn’t make a mug of tea or a sandwich for anyone. When people talk of the betrayal of the ideals of 1916, more often than not they mean a radical, probably socialist ideal. Yet the Irish people never voted for that in serious numbers in any free election, instead voting for wave after wave of lying guff merchants who promised one thing and then did another, knowing full well that was what the Irish people really wanted. How do I know that? That’s easy. Look at the opinion polls, and tell me which two parties continue to dominate politics in this country. Fianna Fail are neck and neck with Fine Gael despite have gotten drunk, taken the country out and wrapped it around a lamppost. What’s the country do? Stand in the driveway with keys to a brand new motor. What is the key value of 1916? How about high-minded guff in opposition followed by conservative inertia and feather-bedding in government? Which is exactly what we have today. Get today’s cabinet to spend a day in a biscuit factory as we all take pot shots at them, and you won’t be able to tell the difference between them and the Men of 1916. Life under the I’m All Right Jackboot: The UKIP government of 2016-2017. Posted by Jason O on Apr 13, 2014 in British Politics, European Union, Not quite serious. The British general election of 2016, held after the collapse of the minority Cameron government of 2015-2016, is recorded in history alongside the 1945, 1979 and 1997 general elections as an election of major historical significance. In short, a key turning point in the politics of Britain. Not only was it noticeable for the radical overturning of conventional politics with UKIP’s emergence as the largest party in the House of Commons, but also for the election when Britain’s first-past-the-post electoral system finally suffered a major malfunction. Following UKIP’s modest entry into the Commons in the 2015 general election, and the hung result of that election with the Conservatives remaining the largest party but just barely ahead of Labour, it was not surprising that a second election was to occur within a year. This was triggered primarily by the inability of either David Cameron or Nick Clegg to convince their respective parliamentary parties to consider a second coalition, and the fact that a Labour/Lib pact would just narrowly miss a majority. Why I support quotas for Women. And Men. Repost: It may surprise some of you, but I’m not the most politically correct of people. However, there is one issue where I am quite lefty, and that is on the issue of requiring, by law, that 40% of all seats in the Dail be reserved for men, and 40% for women. Oh sure, I’ve heard the opposing arguments before. Seats should be filled on merit! It doesn’t matter if 100% of TDs are women, provided they are all good! But why is it that we’ve never had 100% women. Or 75%. or 50%, or even 25%? Opponents of quotas say that it will leave us with poor quality TDs. Why? Is it that we don’t have 83 talented women in the country? Or is it that Fianna Fail or Fine Gael do not have 44 really talented women? As it happens, I’ve tended to find FF and FG women to be, on balance, smarter than FF or FG men, but terrified of showing it. As for the argument that it will make some women TDs feel like second class TDs, we can solve that by having a quota for men too. And by the way, I don’t think the current Dail is in any position to be lecturing people about quality. Our system is essentially family unfriendly, which means women unfriendly, and that’ll only change when enough women are in the Dail to make the issue matter. As for the argument that we need to change other things first, like childcare and the culture, my problem with that point is that we have been making it for 30 years and it hasn’t worked, whereas quotas, over night, will. A new Dail elected with a gender quota will have at least 40% of its membership being women, whilst the culture argument could go on for years without actually getting results. That’s where the anti-quota people always fall: they can’t guarantee a better result. Quotas can. Just ask the PSNI. Are there some rubbish Catholic coppers in the North? Probably. Does the PSNI have more cross community support than the RUC? Definitely. Here’s my final point: where’s the harm in trying quotas? What’s the worst that can happen? We end up with some rubbish female TDs? So what? We already have plenty of rubbish male TDs and no one in the political establishment is trying to get them out.